The TFSA, or Tax Free Savings Account Canada, is here! The Tories have promised something for investors since they were elected. The biggest election promise that I was hoping for this year was the capital gains exemption that they spoke of a couple years back. The plan was that investors could carry forward their capital gains taxation provided that the money was reinvested within 6 months. We can all see the benefits of this type of taxation, but we can also see the immense amount of additional paperwork and cost required from the government. You probably know by now that the new budget does not include the capital gains exemption. However, there is a big bright spot in the budget for investors, that is the introduction of the Tax Free Savings Account (TFSA). I’m actually pretty excited about this account as it has MANY possibilities. Starting 2009, anyone aged 18 or older can contribute $5000/yr to the TFSA. The TFSA can grow and be withdrawn completely tax free. You never lose contribution room even when withdrawn. Withdrawals can be made at ANY TIME with no withholding tax. Contribution room can be carried forward indefinitely. You can contribute to a spousal TFSA, and they can withdraw from it tax free (income splitting). Withdrawal income does not affect government benefits like OAS, GIS, or CCTB. Capital losses cannot be claimed. The account can be used as a simple savings account where interest can grow tax free. This could be an opportunity for stock trading pros to utilize their options/shorting strategies without their gains being taxed as income. Thus far (as of Jan 2, 2009), Questrade is the first discount brokerage to offer a tax free trading account. An opportunity for income splitting where couples now have double the TFSA room to play with. Invest in strong foreign dividend companies and withdraw the dividends TAX FREE. Right now, if you receive foreign dividends, they are taxed at your marginal rate. If you put these foreign dividends in an RRSP, they grow tax free, but you are taxed when you withdraw. The TFSA provides a great way to get exposure to those juicy American dividends, tax free at that. Invest in higher yield bond funds/income trusts and withdraw distributions as a tax free income supplement. Opportunity for non-registered portfolio rich seniors to move their dividend paying stocks into a TFSA to prevent OAS reduction. How does this affect The Smith Manoeuvre strategy? According to Jonathan Chevreau, the interest used to borrow for TFSA contributions are not tax deductible. Along with that, the contribution limits are restrictive for a full fledged leveraged account. These factors make the TFSA not ideal to use with The Smith Manoeuvre. TFSA vs RRSP – Best Retirement Vehicle? I’m also excited about the TFSA – it has the double benefit of providing a realistic retirement savings vehicle for low-income earners, and a way for middle- and high-income earners to shield a portion of their investment income from taxation. As with most plans of this type, however, the main problem is the possibility that few people will take advantage of it. I know that as soon as I can open a TFSA, I’ll be moving as much of our investment and savings income into it as possible. If a TFSA becomes reality, there shouldn’t be any need for the majority of Canadians to hold any cash in taxable accounts. Of course, one thing that has been forgotten in all the discussion of the budget is that it hasn’t been made law yet – a lot depends on whether the vote on this budget results in an election, and the results of that election… Sure, all indications are that the budget will pass, but let’s not count our chickens until they hatch. Right now I have a “rainy day fund,” composed of 6-months take-home income, in a money market fund. Yes, I am a bit conservative. As it stands, I am making several hundred dollars of interest every year that are taxable. This new vehicle sounds like a good replacement for my taxable “rainy day fund.” The $5000 / year limit will mean that transferring my “rainy day fund” into a TFSA will be a multi-year process, right? Eric, yes, the $5k contribution limit is a bit low, but it’s supposed to be indexed for inflation. If you have a spouse, you can contribute up to $10k. As far as i know, there are no attribution rules. I don’t see the income splitting component of the TFSA. If you put the money into a spousal TFSA and they withdraw it then you haven’t saved any taxes because the taxes have already been paid. Where is the split? FP, I think the real advantage here is that the TFSA is a useful “today” tool. For example, the higher income spouse can put money in the lower income spouses TFSA which is then used to invest in higher distribution investments. The lower income spouse can now withdraw the distributions to supplement income without being attributed back to the high income spouse or being taxed on them him/herself.. Personally, I think the TFSA is a great tool to supplement income “TODAY”, where the RRSP is a great tool for “tomorrow”. Reverend, Yes, you are right in that non-registered portfolios are much less appealing with the introduction of the TFSA. The SM does have it’s advantages for those in higher tax brackets as the tax refund will still be higher than the tax on dividend distributions. Perhaps the ideal SM is to invest in long term investments that pay little or no distributions like index funds/etf’s. Assuming this TFSA cannot be combined with the SM, doesn’t it actually make the SM less appealing (relatively speaking)? obviously the cap on the contribution room is a major limiting factor as well. Is it a sure thing that you can invest money then channel the returns into this account and it be tax free? I agree. Most people don’t get it’s going to a huge thing to have tax free compounding interest which you can pull out for anything at anytime without tax issues! I’m going to love TFSA’s. A simple analysis on http://www.taxtips.ca suggests that if used for retirement savings, the TFSA will out perform RRSPs. I haven’t run any of the numbers myself yet to verify but it has interesting implications depending on your current tax bracket and expected tax bracket in retirement. Thanks for the link FT. As you can guess, I’m excited about this new account. Reverend, Yes, I can see the RRSP camp winning for those currently in the highest tax bracket and expect to be in a couple brackets lower during retirement. However, for the middle of the road group, I can see many advantages of the TFSA. That is, providing that people have the discipline to keep the money within the account to compound. FT – I agree that this account is a great tax saving tool for “right now”. In the case where you need to save and then spend the money while you are still working then this is the way to do it. I’ll be doing my TFSA post tomorrow. Rev – I’d like to see the spreadsheet and assumptions they used – I really don’t see how it’s possible for the TFSA to outperform the rrsp assuming the refunds are reinvested or the contributions are made from gross pay. Its possible because the withdrawals from RRSP are taxed. For great simplicity, assume 40% tax bracket today, 30% tax bracket in retirement. Contribute $1 today to TFSA vs $1.4 to RRSP. The illustration used would allow to grow for 25 years at 8% and then remove everything in retirement and compare. The problem with this illustration is that, as far as I know (and there’s a lot I don’t), your retirement income isn’t taxed entirely at your marginal rate, but at your average tax rate. So even if you are in the 30% tax bracket in retirement, you are probably paying something like 15% or something on average. Reverend, it also depends on WHEN you retire. If you’re collecting CPP, or have non-reg portfolio income, then your marginal rate on your RRSP will be affected. Speaking of which, if someone retires early and has very little income coming in. It would make sense to withdraw from the RRSP and depositing those funds into a TFSA. That way, you get low taxation on the RRSP withdrawal, along with tax free compound growth/withdrawals for the rest of your days. This might help in reducing that RRIF mandatory withdrawal schedule later in life. Reverend, you’re right. In order to have a 30% average tax rate in retirement, you’d be pulling out some decent coin. I guess it depends on what you expect your income to be. This was the highlight of the budget for me personally. The point on US dividend makes me think of a more general question. Let’s say you own shares in your TFSA and the value goes up, exceeding your contribution room. In other words, is there a difference between the value of the TFSA and the amount of contribution space? The rules aren’t set yet, but I would imagine that it would be the same as RRSP’s. That is, your account can exceed your contribution room (without any penalty) as long as it’s from growth. Rev – as you point out, using your marginal tax rate to calculate the tax in retirement is very inaccurate unless you have a large pension. If you defer taxes on your rrsp contributions at your marginal tax rate and then withdraw at a lower AVERAGE tax rate then you will save on taxes. This can apply even if your marginal tax rate in retirement is higher than in your contributing years. It’s not true that your marginal tax rate has to be lower in retirement than when you contribute to save taxes. Thanks Mike. That last point is good to keep in mind. On a different note, this discussion has gotten me thinking. Its well noted that unless you reinvest your RRSP refund, RRSPs don’t perform any better than leveraged investing. One problem with the analysis performed by The Reverend is the amount of money contributed to the RRSP. If a person contributed $1.40 to their RRSP they would get a deduction worth $1.40*.4 = .56 which would be a total after tax cost of 1.4 – .56 = .84. Therefore the comparison really isn’t fair. What would be fair is grossing the $1 contribution to the TFSA by dividing by one minus the marginal tax rate. As you can see the RRSP ends up with a higher after tax value at the end of the day. Basically if the average rate at which you contribute the money is higher then the average rate you withdraw the money then an RRSP will have an advantage however the visa versa is also true for TFSP. The neat thing is when you consider that the GIS is only income tested and so theoretically at retirement if a person has a large balance of TFSP they could be withdrawing from it for their consumption and also receive full GIS. this GIS is clawed back at a massive 50% rate and so you most likely are at a higher MARGINAL tax rate at retirement with only TFSP. However because people will often have income larger then the GIS limits the AVERAGE tax rate for withdrawing from an RRSP would be higher then you might think but still lower then the 50% GIS clawback. I think that a neat strategy for a large saver would be to contribute to the maximum for both RRSP and TFSP and at the beginning of their retirement withdraw only from their TFSP so that the person is receiving GIS. Once the TFSP is depleted (or when you turn 71) start withdrawing from the RRSP. I think you misinterpretted what I was saying. When I said to invest $1.4 to the RRSP, I meant that to be $1 plus the $0.40 refund. i admit my example was purely for illustration and quite simplistic but i think in reality, that’s they way most people would implement reinvesting their refund (if at all). Since the attribution rule does not apply to spousal TFSA, withdrawals are not taxable, and the contribution room is set by a uniform, arbitrary initial cap of 5k indexed to inflation rather than by individual earned income, why don’t they just allow couples to hold a joint account? Managing one joint account is so much simpler than two seperate accounts, not to mention less transaction costs incurred, especially if your portfolio is heavy with equities. Perhaps I’m too lazy and cheap, but I would like some simplicity and economies of scale. Rev – you’re right that you need to reinvest the tax refund for the rrsp to be effective. Really what you should do is contribute from your gross pay – some companies allow this for group rrsps or you can fill out a form from the gov’t which reduces the tax at source. It sounds like you are in this situation where there is no refund because you aren’t paying the tax when you make the contribution – this is the best situation to be in! That is exactly the situation I’m in, and I agree it’s the best situation with regard to not paying the tax, giving the gov an interest free loan, and then getting the refund at the end of the year. My dilemma is that the “refund” is essentially buried into my net pay semi-monthly. As always, an example works best. So at the end of the day, i’ve got the same disposible income in either scenario (plus 3k in rrsps). option 1 I gave government an interest free loan. however in option 1, i’m more likely to reinvest the refund of $600 when i get it. In option 2 (my actual situation with diff numbers) i don’t even think about a refund and therefore never reinvest it. but because i had the “disposible” income sooner, i’ve probably spent the $600 refund once tax time comes around. anyone else thinking about this? how do you manage it? Rev, the problem is that contributing $3000 after tax like in option 1 is not the same as contributing $3000 pre-tax like in option 2. The proper comparison is to compare $3000 pre-tax to $2400 after tax. I’ll check back in later – have to go home! I’m pretty sure they are both the same. If you’re contributing $X, sure its harder to scrounge up the after-tax dollars to make the contribution than if you made it with pre-tax dollars, but everything else being equal, once you get the refund at the end of the year for making the after-tax contribution, they are exactly equal. You’ve still contributed $X to your RRSP, one way or the other. The issue I’m looking for advice on is more of a psychological one in how people manage their contribitions (and particularly the refund) if you make the contributions pre-tax at source. Thanks for challenging though. Sometimes I type faster than my brain computes and I don’t always make sense. This new program is great…and I plan to take full advantage of it…. mjw – RRSPs may be of ‘greater’ benefit to high income earners, but low/middle income earners can still benefit from them. I don’t see how TFSAs can beat RRSPs even for a low income earner. Your ‘average’ withdrawal tax rate out of your RRSPs is going to be less in most cases than the tax rate going in, so RRSPs will still win in almost all cases. I looked at the analysis of TFSA vs. RRSP at taxtips.ca, and the numbers make sense, but not the conclusion. The advantage of the TFSA, assuming quite a bit of compound growth (9% yearly) over a long time (15 years) amounts to an after-tax advantage to the TFSA of $2000. To me, given the amounts of money and time involved, that puts the TFSA and RRSP on even ground as far as retirement savings vehicles goes. My plan is to continue maximizing my RRSP, putting a bit of money toward our mortgage, and any remaining money earmarked for savings is going to go toward a TFSA. In addition, our taxable accounts will become TFSAs as well, since a standard, taxable account simply doesn’t make sense if you have TFSA contribution room available. $5000 a year isn’t much for people who already have a sizable non-registered portfolio, but for anybody just starting their working careers, $5000 annually is going to be more than enough. Like RRSPs, I think there will be few people maximizing their TFSA contribution. George – the example at taxtips.ca isn’t computing for me. With the conditions he has stipulated 43.41% MTR (contribution) and 31.15% (withdrawal) the RRSP would be ahead by over $30,000 at the end of 15 years, providing you are putting the tax refund into the RRSP as well. Cheap Canuck – I suspect that the taxtips.ca calculation is not counting the tax refund which doesn’t make sense to me. George – I disagree….maybe you do not have much experience with self-employment and contractors, but as many people who are self employed contractors will tell you due to deductions they are often able to get there earned income to well below $15,000 a year and pay little if any income taxes…all legally I might add. This is great except that means it leaves very little contribution room for RRSPs as they are based on your net profit after all your business expenses have been deducted and they are not based on your revenue for the year. On top of that since your earned income is at the lowest tax bracket you receive a very small if any refund when you put the money in, but would have to pay income taxes when taking it out. So for people who are small-time self employed individuals having a tax free account that is not based at all on the size of your income and being able to put money in and take earned investment income out tax-free and then re-contribute that money later if desired is a huge plus…. Anyways I intend on Maximizing my RRSPs and Maximizing this new TFSA…both will be of great benefit to Canadians in the future. Anybody have any idea how this TFSA would be treated by the US govt for dual citizens? I’ve got a lot of US stocks that are non-registered because of the hassle of potentially moving back to the States and having to collapse an RRSP. Would the TFSA be any help in sheltering? Can existing investments be put into the TSFA? For example, if I buy a 5 year GIC today, can I transfer it into the TFSA next year when the plan comes into being? Russ: probably, but that’s going to be one of the details that the TFSA providers (banks etc) will have to work out. I can’t see any reason why you shouldn’t be able to transfer an existing non-registered investment into a TFSA, though. I assume TSFA’s will not be recognized by other countries, just like RRSP’s. However, you have potentially a big advantage. Because of the tax treaty, withdrawing your RRSP in a lump sum after moving back to the US would result in only 15% withholding tax. Capital gains in your RRSP would be taxable in the US, but you can plan to avoid the tax on this by chrystallizing the gains before moving. I don’t know your situation, but perhaps RRSP’s are better than non-registered for you. We are just starting to analyze the TFSA, but it seems they beat RRSP’s most of the time. Credit Stephen Harper for implementing what may become one of the most effective tax tools for most Canadians. Commander T’s comment #22 shows RRSP’s with the contribution grossed-up being being ahead of TFSA’s, but only because of the assumption of a lower tax rate after retirement. However, most people do not gross up their RRSP contributions and most spend at least part of the refund. Also, the clawbacks on seniors affect most tax brackets, so the assumption of lower marginal tax rates after retirement is probably not true. Both RRSP’s and TFSA’s will beat most non-registered investment because of the tax on growth or income, but leverage (done right) and the Smith Manoeuvre should beat both. We suspect that they will be used much less than RRSP’s anyway, since the tax refund is a huge motivation for most people contributing. Our preliminary analysis is quite fascinating and will make several great topics for upcoming articles on MDJ. How can the TFSA be used as a vehicle to invest and actively trade in stocks? Is the interest gained on the savings account balance tax free, or is there a mechanism to open a stock trading account inside the TFSA? Frnk, the way that I understand the TFSA is that it can be held within a discount brokerage account, like an RRSP can be. In case that I missed it somewhere, even I dont know how the setting up the so-called TFSA works, for either a bank or a brokerage account … can some explain it clearly. All I want to know is will the bank or broker firm label it aTFSA, or will this be a special pre-fix to an account number (so revenue canada knows), or is there some other special mechnnism, and how for tax purposes is it differentiated from regular taxable accounts? Anyone that knows the mechanism 100%, please post it. JR: TFSA accounts don’t exist yet, and won’t exist until early 2009. The most likely scenario is that the accounts will be registered with CRA and tied to your Social Insurance Number (just like an RRSP) and the financial institution will have to report contributions and withdrawals on a yearly basis. You’ll get a tax slip indicating the amount contributed and/or withdrawn, and for tax purposes any gains (interest, dividends, within that account will simply occur without any taxable consequence – no taxes will be withheld and the gains won’t need to be reported on your tax return. Of course, this is my guess based on my knowledge of the current tax system. Nobody knows the exact details “100%” because those details haven’t been finalized and announced by the government. FT, is your blog letting any posters use other posters ID’s? Can you fix the problem FT? fixed FT, that was quick. Now are you sure that I or others cant post using someone elses ID? Does anyone have a guess as to whether you’ll be able to trade stocks on margin inside the TFSA? Kevin, passive income earned in a corp is taxed at the highest corp rate (close to 50%), there is no benefit of holding income investments within a corp for taxation reasons. I’m curious to hear if anyone has looked at the TFSA for estate planning purposes. In my mind, the one remaining theoretical purpose for Universal Life Insurance (and it’s tax sheltered growth and distribution) was to cover capital gains on the estate. Reading up on the TFSA, I’m getting the impression that a TFSA could be used for the same purpose and would outperform a Universal Life Insurance in every(?) scenario by a long shot. That said, taking the very considerable claw-backs on GIS/OAS into consideration (see: “TFSA vs RRSP – Clawbacks & Income Tax on Seniors”), it might be more beneficial to use up the money in the TFSA during early retirement. Then after 71(? ), start using the RRSP to refill the TFSA over the course of several years. That will spread the income taxation, avoid the high marginal tax rates on the remaining RRSP balance upon death, and allow the funds in the TFSA to be used to cover capital gains taxation on the estate as you would with an UL. My question is whether that approach would make any sense. CIBC just put up their TSFA micro site today. Nothing new to me other than the rule that you need to file a tax return to get access to the contribution room. One thing I’m curious about is if I can get a joint TSFA with my wife so we start off with a 10k portfolio instead of 2x 5k portfolios. i copied this from my rbc website, the way i understand it if you pull out your contribution’s and the interest earned from those contribution’s the interest amount is added to the contribution amount for later years. Withdrawals will be allowed at any time for any purpose (i.e purchasing a car, vacation, home renovations) and they will not be taxed. Contribution room is not lost if you make a withdrawal. However, you need to wait until the next calendar year to re-contribute the money. Example: You contribute $3,000 per year to a TFSA for 10 years, for a total of $30,000; unused contribution room = $20,000. You earn investment income, including capital gains of $10,000 over the 10 years, which brings your TFSA balance to $40,000. If you decided to withdraw the $40,000 during year 10 you can do so with no tax consequences. Your contribution room for year 11 is $65,000 ($40,000 withdrawal, $20,000 unused contribution room, $5,000 annual contribution for year 11). Lets say you put $5k into your TFSA, and you decide to invest them in some crazy options strategy…with a 1% of actually happening. Things happen the way you wanted, and you end up with a gain of +$100k, whats going to happen with those money? Your capital gains are tax free, but your contributions space is already full. Question is where do the $95k go? Do they let you keep those money in your TFSA, because they are from capital gains. Because if this is possible you could theoritically become a millionare and not pay a damn penny in tax. TFSA’s will be very similar to RRSP’s, other than tax consequences on contributing or withdrawing. So,there is no problem leaving the $100K in there – or $1 million if your crazy options strategy works out that well. It will all be tax free. What is more is that I believe you could then withdraw the $100K tax free and gain $100K of new room – even in year 1 of the TFSA when nobody else has more than $5K of room. @Ed: How would somebody “withdraw” $100k from an account when the maximum that can be contributed in the first year is $5k? What happens if both my wife and I die together. The CRA site states that the TFSA can be transferred to our spouse/common law partner, but what about children? Does the TFSA become part of the estate and subject to probate/tax? At this time, there are more questions than answers as to how the TFSA can be set up. I still have not been able to locate a discount brokerage account that will actively let me trade US and CAD futures, Options and Stocks using the 5000 in a TFSA. Guess it’s wait and see for now. You can withdraw however much is in your TFSA without any tax consequences. Thus, if you invested $5,000 in a penny stock and it went up 20x in just a few months, you could withdraw the entire $100k without worrying about taxes. AND, you would then be allowed to contribute back that $100k + $5k the following year. @Cannon_fodder: I don’t think you’re correct. Contributions and withdrawals to TFSAs will be monitored by the Canada Revenue Agency in a manner similar to contributions/withdrawals to RRSPs. If you are given 5k of contribution room each year, the largest amount you would be able to contribute (or re-contribute) wouldn’t be permitted to exceed the original contribution room. You’re quite right that a huge gain would be entirely tax free, and you could withdraw the $100k without tax consequences, but I would be extremely surprised if the government allows the $100k to be re-contributed the next year – likely the most that could be re-contributed would be $10k ($5k for year one plus $5k for year two). Granted, this is mostly speculation right now. Until the final rules are established, we don’t know exactly how the accounts will operate. George, Cannon, I have consulted with a couple financial advisors about the contribution issue and have a post ready for next week! Stay tuned! I personally prefer the semantics of TFSP (Tax-Free Savings Plan) rather than Account. The word ‘account’ infers a static and passive savings option rather than a dynamic and active investment vehicle that is an integral part of a comprehensive financial Plan. George, my understanding is that one is able to withdraw the entire accumulated amount in the TFSP whether that dollar figure is accumulated as a result of savings or active investment. As well, the (re)contribution room is created by the annual increase (currently $5000) as well as the amount that one withdraws in any given year. As you have said though, lets wait and see. I spoke to my CIBC banker last week and was told that up to this point a TFSP with limited investment options is available through CIBC’s full brokerage. At this time there is no option through their discount brokerage. In my situation the TFSP represents an opportunity to ‘swing for the fences’ and invest for very high returns. The fact that this money can be withdrawn without paying tax is huge. Je ne vois pas l’avantage si les contributions ne sont pas exemptes d’impot. Ces comptes ne seront probablement pas tres performants. C’est un complement au REER si vous epargnez le maximum possible dans vos REER. La flexibilte du compte peut etre un avantage mais a long terme va probablement etre un desavantage. Il faut etre patient pour epargner et la possibilte d’acceder aux fonds est une tentation. I do not see the advantage if contributions are not tax-free. These accounts are not likely to be very successful. It is a complement to the RRSP if you save the maximum possible in your RRSP. The flexibility of the account can be an advantage but long term will probably be a disadvantage. You have to be patient and to save the possibility of access to funds is a temptation. @Bruno: The advantage of a TFSA occurs when the funds are saved over the long-term. While you do lose the short-term benefit of a tax deduction on the contributions, the fact that withdrawals are entirely tax-free will be a huge advantage after several decades. Just ask a senior what they think of the mandatory withdrawals from RRIFs and the tax implications, and you’ll see the benefits of tax-free withdrawals. The people who will benefit most from TFSAs are people who have already maximized their RRSP contributions, and people who have are in a low tax bracket (say, earning less than $35k/year) and don’t really benefit much from the tax deductions. You get 3.75% tax free plus annual bonus interest. Does the TFSA offer creditor protection just like an RRSP with a named Beneficiary? Hey Frugal, it might be a good idea to put out an article informing everyone of all the fees that banks and brokers are charging for TFSA’s. Especially in regards withdrawls. The Globe and Mail had an article this week highlighting this topic. Because of the withdrawl fees that TD Waterhouse charges, one free withdrawl per year and $25 for each withdrawl afterwards, I plan on taking the 5K and borrowing from it to put in my “Smith” account. I have been searching for higher rates and have found these 2 Credit Unions. I am not sure of the small print but check it out. How can we make sure that it is permitted to trade US Options in the new TFSA accounts? I visit FT’s site very regularly and enjoy reading the articles and postings. This however, is my first post. I have a question about TFSA’s. My wife and I intend to maximize our TFSA contributions — still not quite sure which investment route to take, but we are leaning towards buying individual stocks. We both tend to use Credit Unions more so than the big banks. I wonder is there a negative in doing this? Also, the credit union uses a third party to actually invest your money. I saw that FT covered them in another post — they are Credential Direct.Their rate is supposedly 9.95 per transaction. Is this worth it? The way that I look at it is if we were putting the lump sum of $10k (combined) in there right away, then it would be easier to grow the money and some tranactions at a rate of 9.95 would not matter as much. However, I suspect we will simply deduct amounts from our pay cheques and it makes me think that the growth will be much lower/slower on individual stocks. So, I wonder if this route(with the 9.95 per transaction fee) is the best route to go — any thoughts? Is it possible to trade futures in TFSA? If so which broker is allowing? Zig: Your question goes to whether it is “worth it” to pay a transaction cost when you are making an investment. Whether the investment is held inside of a TFSA (or RRSP, for that matter) isn’t really relevant to the question. Every investment has some costs. These costs can include transactional costs (i.e. a brokerage fee to buy or sell a stock) or ongoing costs (i.e. the management expense ratio charged by mutual funds). As a rule, paying per-transaction costs will be less expensive in the long run if you invest larger sums of money less frequently (i.e. several thousand dollars once per year). If you are going to invest via deductions from your paycheque, it probably doesn’t make sense to pay a per-transaction fee and invest the money every time you get paid, since the transaction cost of ($9.95 or whatever it might be) will eat away a large chunk of your money every time. If you want to minimize your investing expenses, you may want to just have the money transferred into a savings account every time you are paid, and then transfer the money into your investment account whenever the savings account gets large enough to make the investment purchase worthwhile. Above all, though, don’t invest in anything that you don’t fully understand. If you don’t know where your money is going, educate yourself BEFORE making the investment purchase. I recently opened a PC Financial TFSA to start out with. I plan to max. it out this year ($5,000 contribution). However, I am wondering how many of you will also open a Discount Brokerage TFSA? Would that be a good place to place dividends earned from dividend-paying stocks? Can you have both accounts? Are there other ways you savvy investors are sheltering income earned from dividend paying stocks? Thanks everyone, keep up the insightful and detailed commentary! Mark: Looks like you are thinking along the same lines as me. Our RSP and RESP is maxed out for 2009. We are planning to open the TFSA with Questrade. With no capital gains to pay, we plan to trade US Options and leveraged Canadian ETF’s using this new account. Anyone else thinking about using this fabulous new vehicle to trade the markets? Hey folks, long time reader. My situation is one where I am the sole income earner in my family. My spouse is a stay at home mom. I was wondering about the tax implications, if any, on the contributions if we open a TFSA on behalf of my spouse. She is presently earning no income. 1. Would she be required to pay taxes on the contributions despite the fact that she isn’t working (or hasn’t worked)? 2. If it is deemed that taxes have to be paid on contributions, would the applicable marginal tax rate be based on my income level or would the rate be based on the lowest tax rate to cover her situation? 3. What if she opens a TFSA in her name out of her personal savings rather than from my income, would she still have to pay taxes? I am a bit confused here. Maybe someone can clarify. Is there some sort of double taxation with the TFSA vehicle where let’s say I invest $5000 of my after-tax income in a TFSA will that $5000 be taxed again? Or is this in contrast to the RRSP vehicle where I do not get an upfront tax break? Michael Max, income splitting is one of the big benefits of the TFSA. AFAIK, you can contribute to your spouses tfsa without any tax implications on either of you. To answer your second question, TFSA’s are funded with after tax dollars and will not be taxed again .. ever. Again, you should consult with a financial professional to confirm. I have researched the TFSA on taxtips.ca, as I would like to fully understand the tax deductability and capital gains implications. From what I have seen it appears that TFSAs qualify along with RRSPs as non-deductable investments. That is good to know as someone who currently uses the SM for other investment accounts. Second it states that capital losses do not enjoy the same protection as non-registered investments. Can any of the more knowledable commentators here clear up whether a TFSA is usable not usable for SM, and the exact tax/capital gains implications? KrisB, I’m not sure if you missed it in the post, but Jonathan Chevreau has stated that investment loans are not tax deductible with the TFSA. Any capital gains within the TFSA are not taxable, even when withdrawn. Michael Max: You and your wife can each contribute $5000 to a TFSA, and there are no tax implications to either contribution, since the money you’re using to contribute has already been taxed (you paid taxes on it as part of your paycheque). That money will never be taxed again, and neither will any interest, dividends, or capital gains earned within that account. There is no “double” taxation from a TFSA in your spouse’s name – there’s no requirement for her to have any income in order to gain the $5000 contribution room, and the contribution isn’t separately taxable in her name, even if the funds for the contribution came from your income. Thanks for the heads up George. I will ask specific questions before plunging into individual stock(s). Last few question to you all: assuming that I am making payroll deductions bi-weekly, what would be the best way to use the TFSA? Stocks, Mutual funds, GIC’s, high yielding equities? Would it be better to save the money into an account first and then put a lump sum into the TFSA, essentially delaying my contributions by half a year to a year? I know you all don’t know, 100 % for certain, how to maximize the TFSA, but I am sure you all have opinions, plans, and great ideas on what you each like/prefer — thanks for any comments and opinions; greatly apprciated. Zig: Whether to contribute to a TFSA bit-by-bit or to save the money outside of the TFSA and contribute in larger lump sums is really a personal choice, and it’ll depend greatly on what you’re investing in. For a TFSA opened through a bank and invested in low-cost, no-load mutual funds, it’ll probably make the most sense to just contribute every two weeks and leave it at that. If you’re going to treat the TFSA as a brokerage account and buy stocks or other securities that have per-transaction trading fees, you’ll probably be better off saving up the money and spreading out your purchases. The performance difference between investing biweekly and investing bi-annually probably won’t be huge in the long run. The question isn’t really about “when” you save your money, it’s “if” you save your money. $5000 in a TFSA each year is better for your financial health than $5000 in home-electronics equipment and take-out food. Consider this – especially those that recently got into mortgages at Prime + 1% that in the early days of contributing to your TFSA you might be better off paying down your mortgage. There is less risk in investing in what you don’t know, you get a guaranteed return without any stress and you don’t have the inefficiencies of trading commissions or MERs. It should be possible to beat a 6% return if you do just a little bit of research, but it isn’t a BAD idea to eliminate any non-deductible debt first at higher than prime interest rates (moreso if they are variable rates). canonical: I don’t think what you’re planning will work. 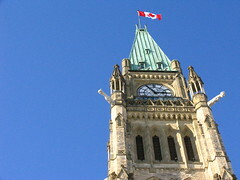 The required RIF withdrawals are taxable as income, regardless of whether the money is re-invested into a TFSA or not. There’s no “dodging” of the tax on the RIF withdrawal, although any interest/dividends/gains AFTER the money is contributed into the TFSA would be tax-free. When at all possible, pay-down high-interest debt, including the mortgage, even if that’s all you got left. Given the TFSA is in its infancy, there are more questions than answers right now. Just look here, we’re over 100 posts! I got my $5000.00 already in a PC Financial TFSA. 3.75% tax-free interest on that ain’t too bad, until I do more research. Thanks for the clarification, George. Of course, that makes sense. I am certain that there are more than a few of you who have done some research on which bank offers the highest savings rate. That being said, I am looking to open a TFSA but do not know which bank offers the best rate. Any suggestions? @ cannon_fodder: I agree paying down debt is good. however, I’ve never really considered paying down my mortgage as an instant return. IMO one of the biggest advantages of mortgages are that you can get below prime rates. I think if you believe your investment returns will be greater than the mortgage rate, you really are better investing rather than paying down. @Mark: I’ve only ever considered opening a TFSA with a discount brokerage. My intention has always been to use the account for investments which are not the most preferentially taxed. Question for you: Can you hold 2 TFSAs? I have one with PC Financial already, got a few K in there already this year as an emergency fund, but I’m leaning towards opening another with TD Waterhouse. (I already have a discount brokerage account with them. I’m going to start using that account to buy stocks, then start some DRIP and SPP investing). @Mark: Like RRSPs, you can open as many TFSAs as you would like, but the contribution limit ($5k/year) applies globally across all of your TFSA accounts – you can’t contribute more than $5k total (per year) without incurring penalty taxes. Do you know anything about holding US Stocks and Securities in a TFSA account? Does anyone know how the built-in inflation measures will work out? It allows for larger contributions as inflation grows…I imagine it is indexed. The contribution limits of $5k per year will be indexed to inflation in $500 increments. The limit probably won’t increase for at least 4-5 years, when it’ll go up to $5500. or, if after 4 years I have $20000 in the acount and another say $4000 in the investment earnings, and I pull out the $4000, can I contribute 5000+4000 in the fifth year, since I the money I pulled out was not from the principal contributions, but from the earnings? Norman: If I understand your question correctly, you’re asking whether investment growth can be withdrawn from a TFSA and then re-contributed later. The answer is yes – If you contribute $5000 and it grows massively (say you get extremely lucky with a penny stock and turn the $5k into $100k). You could then withdraw $100k tax-free, and your contribution room for the next year would be $105k ($100k that you withdrew, plus the $5k room allocated for the year). Being able to withdraw money at any time without tax consequences is a great feature, but it’s a double-edged sword. For many people, this will prove to be a temptation that causes them to deplete their savings with the intention of “paying it back” but then not actually doing it. 2. High interest rate non-deductible debt. 6. Mortgage or other reasonable interest rate debt. What is the max lump sum can you put in when you open TFSA? Jay: You can deposit pretty much any amount you want (your financial institution or brokerage won’t stop you from putting in whatever you’d like). You will, however, incur penalties from the government if you contribute more than the $5000/year limit. I am planning to invest in an Index fund for my TFSA. Let’s say we have another 20% drop in the market this year, and I am down to $4000 at the end of the year. I withdraw this money at the end of the year. Do I have $9000 or $10000 to invest in the TFSA next year? What I guess I am asking is if there is a maximum calculated. For instance, if on June 1, 2009 my account is worth 5500, then down to $4000 at the end of the year, is my potential contribution room 10500 at the end of the year, or 9000 or 10000? The thing that makes this conceptually difficult for me to understand is that you are allowed to continually contribute (so if I contribute nothing this year, I am allowed 10000 next year). Finally, if my account drops to 4500 on June 1st, am I allowed to contribute another 500, or will that be considered a 5500 contribution for 2009? Thanks in advance to the experts here! First, I am investing in an index fund for my TFSA. Lets say that hypothetically we have a 20% loss (so the value of my investment is 4000). Then at the end of the year I withdraw my $4000. Would I have $9000 or $10,000 in contribution room for 2010? @Kirk: The answers to your questions are 1) $9000 and 2) no. If you withdraw $4000, then $4000 will be added to your contribution room for the next year, along with the $5000 allotment, for a total of $5000. If the investment drops in value, you don’t suddenly gain more contribution room, so you wouldn’t be able to top-up the TFSA. The notion of “contribution room” for TFSAs and RRSPs is imposed by the government as part of the rules that govern registered accounts. It is calculated based on those rules, and those rules are entirely independent of any fluctuations in the value of the investments held within the accounts. Is that correct? Some posters made me believe that the total would be 15500 (because of the extra $500 I made in 2009). But I guess if I lost $1500 in 2010, then I would still be down $1000 in my deposit room for 2011. Does that make any sense? Kirk: Your numbers are correct. You only get “extra” contribution room if you withdraw from the TFSA – the amount of the withdrawal is added to the contribution room for the next calendar year. If you don’t make any withdrawals, the contribution room will simply be $5000/year. Also, the $5000/year is supposed to increase over time with inflation, in $500 increments. So at some point it’ll become $5500/year, then $6000/year, and so on. Hey, I don’t know if you’ve got this information but if you’re using this account for dividend paying companies you probably do. I collect my dividend payment of $100, does that go into my TFSA, or into my pocket? Would reinvestment of this $100 count against my contribution limit, as in would I now only be eligible to contribute $4900 in the year in which I reinvest the money? Or would it count as a gain, and my $5000/yr be unaffected? Tim, dividends received will go directly into the TFSA and will not count against your contribution room. In fact, if you withdraw the $100, you can recontribute the $100 + the $5k the next year. I am student and I have no taxable income I work part time. Do I have any advantage of opening TFSA account? Lots of good quotes out there in this thread. However, as a PC Financial customer who opened a TFSA (I, too, like the P at the end instead of A, ‘plan’ instead of ‘account’===because *I* thought of it only as a simple savings account until today!) at 3.75%. I am currently a student and have opened up a TFSA. My question is, lets say i deposit the 5000$ limit into my TFSA, I then use that 5000$ to invest in a stock via my TFSA. If the stock rises, and i sell – depositing a sum greater then 5000$ into the account, will i be charged the extra 1% tax rate? Papa, no, all gains within the TFSA are tax free. Same goes for if you lose, you cannot claim the loss. Someone explain this to me. I’m looking at ING’s products. Lets say I contribute $5000 today (2009) in a TFSA and I use it to get a $5000 Tax Free GIC (1 year). The form they provide tells me I can ‘rollover principal’ or ‘redeem to isa’ (back to regular savings account). What I can’t figure out is why I can’t redeem it back to my TFSA. I understand that if it moves back to my regular savings account I cannot put back that $5000 (from 2009) until Jan 1, 2011. I can contribute $5000 in 2010, but I will only have $5000 in the account (+ interest) for the rest of the year, and losing out on the $5000 in tax free savings I could get if my $5000 (from 2009) was still in there. Is this correct in their implementation of TF savings? I can confirm to you that I transferred money from my ING TFSA to a GIC (still in the TSFA), and chose the option “redeem to ISA”, and now my GIC account indicates that it will be redeemed to an ISA but the account number indicated is my TFSA ISA account number and not one of my other ISA accounts. I think they just didn’t change their option to specify “TFSA ISA” during the GIC investment process. Lyne thanks. I just spent an inordinate amount of time with the phone rep and he was convinced that it really goes back to your regular ISA. That totally did not make sense as RSP accounts do not work that way and they should work similar in that way. How does this TFSA differ from RRSP? I’m now working in the TFSA department at TD Waterhouse and I see a lot of new applicants lately. No offense Jada, but shouldn’t you be getting some education from your employer? Makes me a little weary if TD Waterhouse employees are coming to MDJ for information about the TFSA. Question for you…for higher income earners (>$75,000), what would you do with a TFSA? What would be your first, second, etc. option for this account and its holdings? I think if you are in a lower tax bracket, let’s say an MTR < 32%, then you should maximize the TFSA before RRSP’s typically. If you have non-deductible debt running more than 4 or 5% you may want to look at putting your money there first. As for what you should own in a TFSA, I don’t subscribe to only holding interest income securities. My wife and I have group RRSP Defined Contribution plans at work and the choices of mutual funds we have is severely limited. Thus, we tend to use that to put our more conservative investments and let our SDRRSP’s and everything else hold our investments weighted to the equity side. For my TFSA I’ve been just playing around with some of the betapro ETF’s and holding them for days or weeks at a time. There isn’t enough room in a TFSA to play with too many direct equities because the commissions will eat you alive. I also don’t feel comfortable enough with options yet. As time goes on and my TFSA gets larger (due to organic growth as well as annual contributions) I believe my TFSA will morph into a more stable investment portfolio rather than a more speculative bent that it has right now. I totally agree, for any MTR < 32%, max. your TFSA. Heck, if you can, max. your TFSA and then your RRSP! Thankfully, my spouse and I have no debt, only the mortgage. My spouse and I also have Defined Contribution plans at work, but the funds are crap. Hence, we’re going “safe” at work and going equities elsewhere. This could be a long question but I will try and keep it short. I am almost 38 married with 2 young kids, 2 and 3. I have about 40k in a pension fund with my old job ad my new job does matching RRSPs which is at 10%. My wife has rrsps aswell likely closer to about 5%. We both have lots of top up room in our RRSP’s. I was looking at a TFSA with RBC, but realise ING or someone else will likely be cheaper. I am thinking of using the TFSA for a combo of emergency money, kids educations, retirement top up etc. The TFSA would hold some MMF’s, ETFS, maybe some divedend stocks. I never really thought a lot about these things when was on the pension plan, but now I am playing catch up and trying to learn quickly. I appreciate any feed back. new old guy, personally, I would recommend maxing out what your employer will match. Free money is free money. After that, it would be up to you what to do with the money. If you are still in a higher tax bracket after the 10% RRSP contribution, then it may be in your best interest to contribute more. My spouse signed me up for TFSA at CIBC for a measly 1%. ING is offering 3% TFSA however CIBC is charging $100 to transfer a TFSA to another institution. I think I screwed up my best TFSA option? Can’t I just cancel my TFSA at CIBC then open a new one at ING to avoid any $100 transfer penalties? Chris, one option is to simply withdraw the money from CIBC near the end of the year, then redeposit into a new account ING or other in 2011. That way, you’ll face no fees. However, in the big picture, if you have $10k in your tfsa, and missing out on 2% for the year, that equates to $200 in lost investment income. But that is also assuming that ING keeps their interest rate at 3%. Can you move an existing stock(book value 10k) into a new TFSA account? and if this is allowed can it still be moved if the stock has a market value above the 10K. 10k being the year 2 contribution limit. keith, if you have $10k contribution limit in your TFSA, then you can only contribute a max of that amount regardless of book value. Note as well that you’d have to pay capital gains tax if you in-kind transfer a stock that has profit to a registered account. Wow! This post is really very appreciable. I think some new things if you add to your post like current affairs will increase It is popularity. your post is very advantageous for me and very good. Thanks a lot. Tim, dividends received will go directly into the TFSA and will not count against your contribution room. In fact. I opened up a TFSA investment account with Questrade (and am making use of the MDJ promo – thanks FT). My current plan is to keep maxing out RRSPs with mostly index fund investments and use the annual refund to contribute in my TFSA by purchasing mostly Canadian equities. I would also like to purchase US equities if they are attractive. A) How do I even buy this security if it’s traded on the NYSE? Can I do it with my Questrade account? B) Assuming I can even purchase this security as a Canadian, am I right to believe that there would be no taxation of my investment if held inside a TFSA? 1. Transfer A to regular account or B . Will this transfer be treated as sell and buy. As in I have to take up loss if I move stock A ? 2. Should I sell B and keep profit and then transfer money out to my bank account (later can sent it back to regular trading acc). That way I keep profit and buy any stock later. I think I know the answer to this already since it says “you never lose contribution room” but I really want to be sure. I currently have 5k cash in a TFSA that I put in last year, since it’s now 2010, I can put in another 5k correct? Now what if I put in another 5k, but then decide I want to put 5k worth of REIT’s in it, can I withdrawl the 5k cash, put in 5k of REIT and have 5K REIT & 5K cash sitting in my TFSA? Chris, if you put cash in a discount broker and you purchase a stock, like a REIT, then it will not affect your contribution room. However, if you have $10k in a tfsa like ING, then withdraw, and redeposit into a discount broker account, then you have overcontributed. To fix that, you can “transfer” $5k from the savings account to the brokerage account and it will fall within the rules. I have 5k cash in a TFSA with TD Canada trust, so if I were to put another 5k cash, then in a month or so decide I wanted to put an investment in the TFSA rather then cash, I could open up a discount broker account, and “transfer” 5k to the discount broker, then withdrawl cash from that account, then put 5k investment in it, and I would be good to go? Chris, when you have cash in a discount broker account, you don’t withdraw the cash to buy an investment, the cash is used to “buy” the investment. In your case, you are probably better off depositing the money into an investment account now so that you can avoid the transfer fees later. Sorry if this is a repeat question. In the recent past, I have transferred funds from my credit union TFSA account to my Credential Direct TFSA account. This has always been done in one step: I would print out a transfer authorization form from Credential’s website, bring it to the credit union and we would send the form off with the transfer in the form of a cheque. I have since switched credit unions and the new credit union is a little unsure of the process. I called Credential Direct on the process and they state to fill the form out, mail it to Credential and then the credit union will transfer the funds after Credential contacts the credit union. Does anyone know if this is the proper procedure? It was much easier to just do it all in the one shot. I am unsure if I contacted a questionable Credential agent on the phone or if it has been done incorrectly in the past? The difference in time to do it one way versus the other way is substantial. Does anyone have any experience with transferring funds from a credit union TFSA to a Credential Direct TFSA? What is the definition of “advantage”? I have tax advantage saving account with cibc. Does it mean that If I withdraw my money I cannot reinvest it? In the normal course you can withdraw money from your TFSA and re-invest it, but you need to be careful not to exceed the contribution limits. If you withdraw money from a TFSA, the withdrawal amount isn’t added to your contribution room until the next calendar year. I went to the bank to ask about the TFSA and just want to reconfirm my understanding of it. I wanted to open a TFSA and contribute $5k because I thought that if I withdraw it, then next year I would be able to contribute $10k. But, the lady at the bank told me that the TFSA started last year and so my contribution room for this year $10k and next year it would be $15k. Therefore, I didn’t have to open a TFSA now, and just open one next year while still having an contribution room of $15k. It this the correct understanding of the TFSA? noobie, yes the bank rep was correct. @David, my understanding is that any withdrawals would need to be recontributed the following year or else it would be considered a contribution in the current year which could result in over contribution penalties. maybe I did not explain myself properly. I do not ask when to recontribute this money. I withdraw 10000$ from my A. account which currently has 11000$(1000 is an interest during 2010). Withdrawing 10000$ creates a contribution room of 10000$ for the next year. Next year I invest 15000$ into account B. Thus I will have 16000$ in TFSAs which exceeds my contribution room of 15000$ for 2011. Is there any difference between contribution room and total money on TFSAs? @David The account balances don’t have anything to do with contribution room. Contribution room accumulates at a rate of $5000 per person per calendar year, starting in 2009. The amount of any withdrawals in a given calendar year are added to the contribution room allotment for the next calendar year. The contribution room is per-person, not per-account. If you have multiple TFSA accounts, you need to track the contribution room across all of the accounts to avoid an over contribution (and penalty tax) situation. Contribution room is a measure of how much you can add to your TFSA(s) in a given year, not a measure of how much is already in the account(s). “The amount of any withdrawals in a given calendar year are added to the contribution room allotment for the next calendar year”. So, If I withdrow 11000$ will I be able to add up 11000$ to my 2011 contribution room? @David Yes, if you withdraw $11000 from your TFSA account(s) in 2010, you can re-contribute that money in the next calendar year (2011), in addition to the 2011 contribution room ($5000). The problem people get into is when they withdraw funds from a TFSA, and then re-contribute them in the same calendar year. This is considered an overcontribution by the CRA and subject to a penalty tax. the TFSA dollar limit for the particular year if, at some point in that year, the individual is at least 18 years old and a resident of Canada. In all other cases, the amount is nil. the total of all TFSA contributions made by the holder in the particular year excluding a qualifying transfer or an exempt contribution. * any other income related to those amounts. Under the first bullet point, it is important to determine how the $1000 in your example was made. If it falls under the condition of “advantage” then it can’t be used in your next years TFSA’s contribution room. What are you all putting in your TFSA? I am trying to work the TFSA into my portfolio and was curious about what type of investments are most tax efficient to place inside. I can see the benefit in placing bonds inside the TFSA – interest is no longer taxable at income rate. What about stocks? I just read on Questrade’s site that the US doesn’t recognize TFSA’s and any capital gains made in USD are taxed. I can’t find any more information on this anywhere. I think there is a 15% withholding tax on US dividends, what of capital gains? I’m not tax savvy by any means, can anyone explain this to me in more detail. Lets say I deposit 10,000 in my TFSA and set currency to USD and gain 2000 dollars. How is it taxed? If capital gains in USD are taxed, can capital losses be used for deductions? What if I have an unrealized loss one year, and then gain it back the next year and sell it all. Is it a wash? or because the gain comes in a different calendar year I have to claim it? OMG, I am in the same situation: I deposit 10,000 in my TFSA and set currency to USD and gain 2000 dollars ? Will I be taxed on this ? I understand all the general concepts of the tfsa. I have a specific question about the withdrawal and contrib room rules. CRA uses verbiage like “full” and “total” when referring to tfsa withdrawals, and adding to contrib room the next year. But is that regaining of contrib room capped to $5k (or whatever the limit is at the time) or is it unlimited, eg if someone makes massive cap gains and withdraws $50k from tfsa, do they get that much room next year or is it capped? But even if capped, it doesn’t seem like it’s limited to principal withdrawals, eg if someone puts $3k in tfsa, gets cap gains and withdraws $5k, then would likely get that full $5k in contrib room the next year right? So i guess a summary question might be is everyone’s lifetime tfsa contrib room the same based on years of tfsa’s existence and limit per year, or does it vary per person depending on the size of their withdrawals? Thx in advance. @Showtime – it’s the latter. If you have a large capital gain and withdraw $50k, you’ll have $50k of ‘extra’ contribution room added to your limit for the following year. Anything withdrawn from the TFSA (whether contributions, interest, dividends, or capital gains) can be re-contributed in a future year. George, thx for the reply. That is interesting. Do you have a link to CRA or similar ~official source that details this…or perhaps you know firsthand because CRA has calculated your own limit that way? Every example I’ve seen from CRA so far just shows withdrawals equal to or less than the annual contrib limit. Thx. is XIN worth holding in a TFSA???? I hold dual Canadian/USA citizenship. I am want to set up a TFSA but have heard that the IRS tax treatment is not very kind for these investments. Can you please spell out what I am to expect? Remember that under the US / Canada tax treaty, TFSAs–unlike RRSPs–are not considered to be a pension trust. This has an effect on the amount of withholding tax Uncle Sam skims off the dividend. If you receive $10 dividend from a US company in a RSP, the withholding tax is 0%, nada. On the other hand, because the TFSA is not recognized as a pension trust, a 15% withholding tax will be taken off US dividends in a TFSA. That is to say, the $10 becomes $8.50. So the juicy American dividends are not quite tax free because there is a withholding tax. To me, the RSP is the best place for the juicy American dividends. Second best would be the TFSA or non-registered account. How the tie breaker would be decided would in part depend on one.s marginal tax rate in the non-registered account, seeing that foreign dividends will be taxed at the marginal rate: i.e. if the marginal rate is below the 15% withholding tax, then the non-registered account would be preferable. If one.s marginal rate is higher (this would be most people), then the TFSA would be second best after the RSP. And it will have to be considered as well that capital gains would be completely sheltered in both RSP and TFSAs. Some food for thought. I am consideering using the following combined TFSA / RESP strategy. Do you think this is a good idea or some variation of this? Sorry, I don’t know how to display the numbers as a table. But the general gist is that you save up during the year to make next years TFSA contribution and eventually the TFSA income entirely funds the RESP max contribution. I did not discuss RRSP, but it assumes that you are contributing to an RRSP as well as previously stated the RRSP/TFSA combo is best tax strategy and RESP falls further down the list. If I withdrew $2,000.00 in September 2011 while contributing $5,000.00 in January 2012, will I be able to contribute additional $2,000.00 in 2013 for total of $7,500.00 ($2000 + $ 5500)? Yes. Any leftover contribution room from one year, is carried over to the next year. So in 2012 you had $7000 contribution room ($5000 + $2000 that you withdrew in 2011). You then contributed $5000 in 2012 leaving $2000 in leftover contribution room that will be carried over into 2013. So your contribution room for 2013 will be $5500 + $2000 = $7500. I am being charged by my institution at $50 plus HST rate to have this TFSA account. Do all Institutions charge to have this type of account? When transferring a TFSA from one financial institution to another, the losing financial institution typically charges a Transfer-Out Fee (sometimes to the tune of $125). The losing financial institution takes the Transfer-Out Fee from the TFSA. Question: How does that affect the remaining contribution room on the TFSA? Can you re-contribute the $125 without penalty? Seth: Are you saying that the Transfer-Out Fee is to be treated as a Withdrawal? That was the essence of my question. My thoughts are that it should indeed. Looking for confirmation. The dividends earned from US based company withing TFSA is subject to tax at source, i.e., they withhold tax before crediting it to your account. Don’t they? Am I missing something here? According to your blurb above, you say juicy US dividends can grow tax free and withdrawn tax free. My understanding is correct? @Guest, from my experience in withholding tax, you will see the full dividend come into your account, then the withholding tax taken out right after. But yes, you can withdraw from your TFSA tax free. Put it his way – if it is a foreign stock, dividends are declared, after tax for that corporate entity. Your tax is withheld at source before depositing in your account. So, yes you are paying tax. But remember – this applies to foreign entities only. Most people invest in US for their “juicy” dividends. So you are paying tax now and withdraw tax free later. That said, why not choose only Canadian companies?. There are a few excellent ones out there. The dividends are declared by these Cdn. companies as grossed up. In a away you are paying tax in this situation too. Bottom line? Death and taxes are inevitable. TFSA is good for a long term holding and with DRIPS (dividend reinvestment). Watch it increase phenomenally over time. In a cash account, (non registered) similar scenario will attract taxes and the dividends are treated at lower tax rate. In Tfsa, does not pay taxes. That’s where the difference lies. Of course you know the similar situation in RRSP will attract taxes later when you withdraw. Another difference between TFSA and RRSP – you are investing after tax dollars in TFSA. In RRSP, your money is before taxes but you pay taxes later. Any which way you cut it, you cannot escape taxes. This is my take on this. If I am wrong, anyone in this forum can please correct me. To Ed, FT, or any other accounty types: how does the new TFSA contribution limit increase effect previous over-contribution penalties? E.g. a person with $5,500 contribution room in 2014 deposits $16,500, which triggers penalty payments (on 24 months, correct?). With the new limits, would those penalties now be calculated on only 12 months?